7.8 million people visited the historic city of Bruges in 2015. During the 10 peak days more than 45,000 visitors were counted in the city. The hotels and B&B's were realising 2,2 mlj hotel nights . In average the overnight tourists were staying 1,78 nights in the city, mainly during the weekends and in July and August. In terms of total visitors the best month was December ( 123,500 visitors) , while February was the calmest month ( 92,000 visitors) . 66% of day trippers remained between 1h to 3h in the city ; 44% stayed for a longer period. 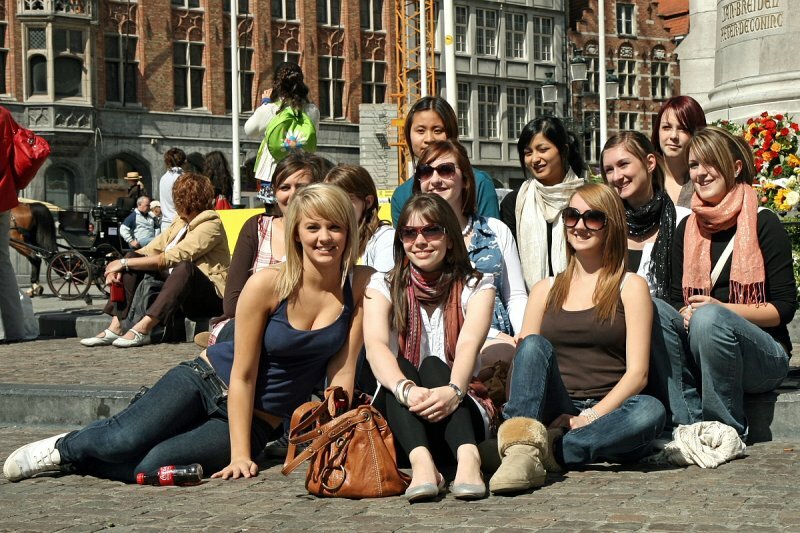 Out of a research by the city of Bruges, day-trippers spent an average of 36 euros per person in Bruges, which makes a total revenue estimated at 190 million euros. Overnight tourists spent 114 euros per night and per person. The total turnover of residential tourism in 2015 is estimated at 251 million euros. This brings the total turnover of visitors (excluding day visitors ) in 2015 at 441 million euros.